CHICAGO—(ENEWSPF)—December 17, 2015. Nine days after mass multi-hour protest marched through downtown, Chicagoans will again walk out of work and school and converge on Daley Plaza to demand the resignation of the Mayor and the State’s Attorney. 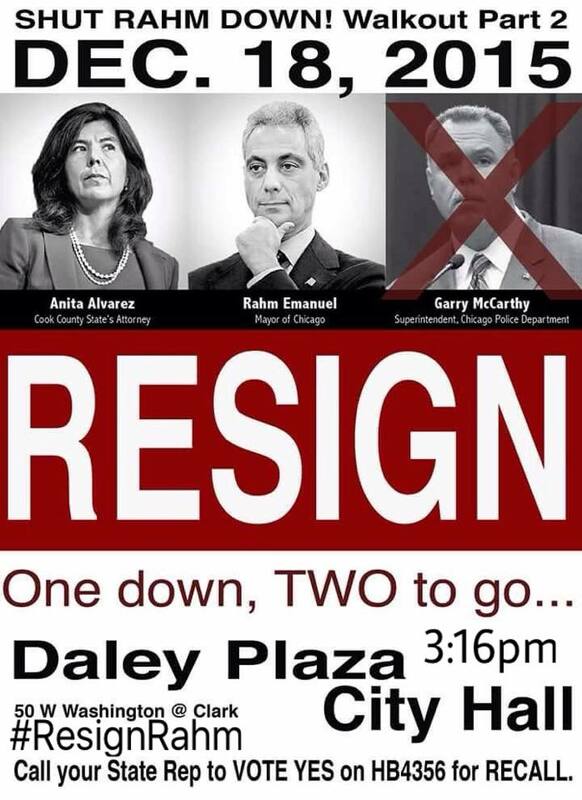 The second city-wide walkout to call for resignation of Mayor Rahm Emanuel will take place at Daley Center Plaza, 50 W Washington St, Chicago, on Friday, December 18 at 3:15 p.m.